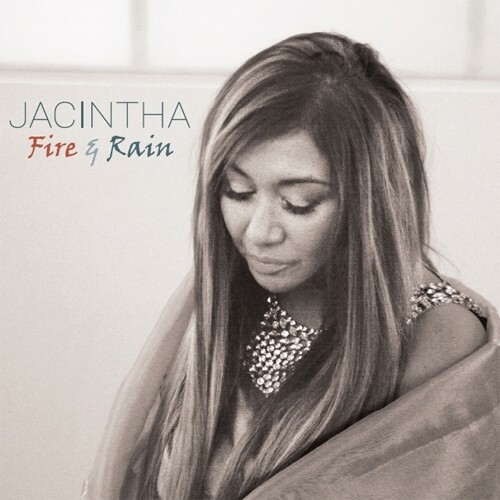 Jacintha's first new album since 2007 features a fabulous selection of hits from the James Taylor catalogue including: You've Got A Friend, Sweet Baby James, Walking Man, Fire & Rain, Shower The People and several other popular choices. Jacintha's first popular vocal album represents a striking change of pace from this Singaporean audiophile favorite. Several of the best LA-based musicians associated with James Taylor during his lengthy and stellar career appear on this album: Lee Sklar (bass), Russ Kunkel (drums), Jim Cox (keyboards & currently touring with JT), and Dean Parks (acoustic guitar & currently touring with JT). All songs are arranged by Tim Pierce (Vanessa Use Me and Vanessa When The Levee Breaks) who also plays acoustic guitar on several tracks. The entire album is recorded 100% pure analogue at The Henson Studios in Hollywood, formerly know as A&M (and the original location of the Charlie Chaplin film studios). In 1999, A&M Records was sold to Universal Music. Subsequently the studio location, including all the recording studio facilities and equipment, was purchased by The Jim Henson Company. Henson Recording Studios was established in 2000 and continues the legacy of technical expertise and excellent service founded by A&M. The album is tracked to 2 inch Multitrack analogue tape running at 30 ips and mixed down to 1/4 inch tape also running at 30 ips. All tracking and mixing is done at Sunset Sound by recording engineer and co-producer Michael C. Ross. The album is mastered and all vinyl cut by Bernie Grundman at Bernie Grundman Mastering using the 1/4 inch 30 ips master and on the all analogue cutting system at Bernie Grundman Mastering. "Michael C. Ross on the mixing console created the well-balanced wide open and dynamic sound of this pure analogue recording. Bernie Grundman, admired as mastering genius prepared the tapes for the transfer, and also did the vinyl cut. A real treat for the ears…" - Winfried Dulisch, Stereoplay Magazine, Germany, Audiophile CD of the Month for June 2018!